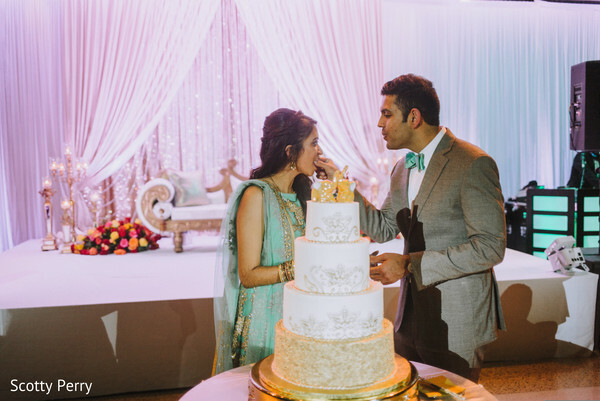 The last stop on today’s featured journey ends at The Carson Center where DJ Vikas Sondhi of Opening Minds Entertainment began setting up the sound system for the night. 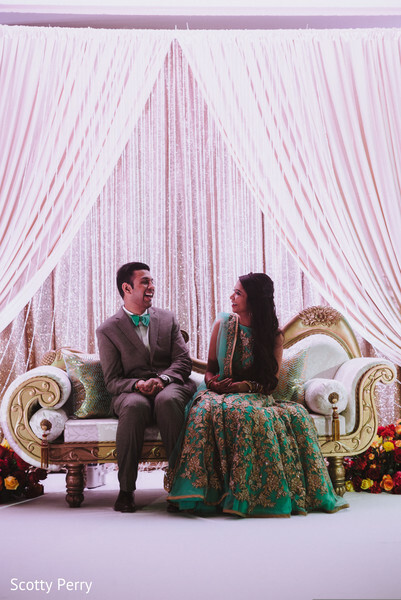 The bride slipped into a magical teal green and gold flowing anarkali after being dolled up by her makeup artists and hair beautician. Hair was kept flowing and carefree with a glowing makeup to tote. 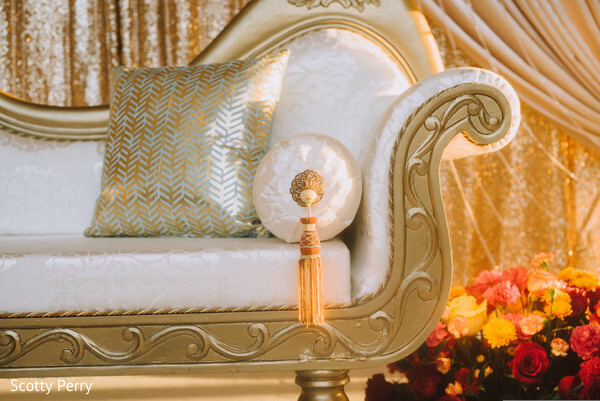 The expansive ballroom was overflowing with luxurious elements. 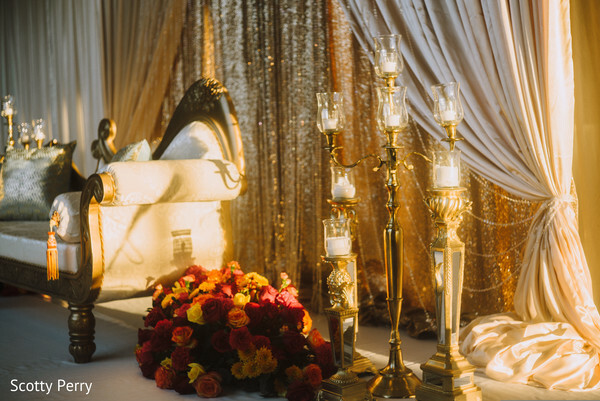 A romantic sweetheart was set up complete with soft cotton draperies, candle lights, and a cornucopia of fresh flowers in various arrays of color sat on each side of the chaise. 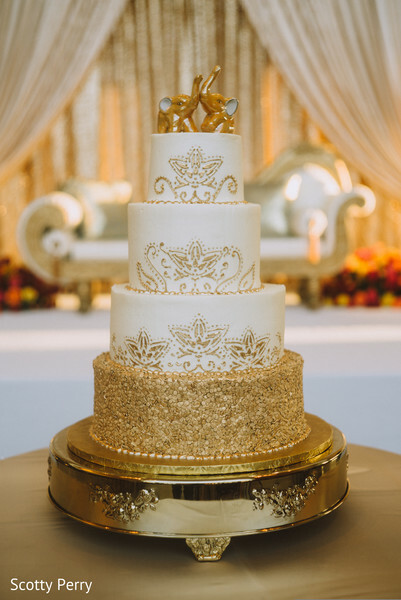 A gorgeous gold mehndi cake baked by Artisan Kitchen sat gallantly on a table of its own. Guests dined on cuisine from The Clay Pit Indian Cuisine as Veda Films cruised the spacious quarters capturing all the live action. 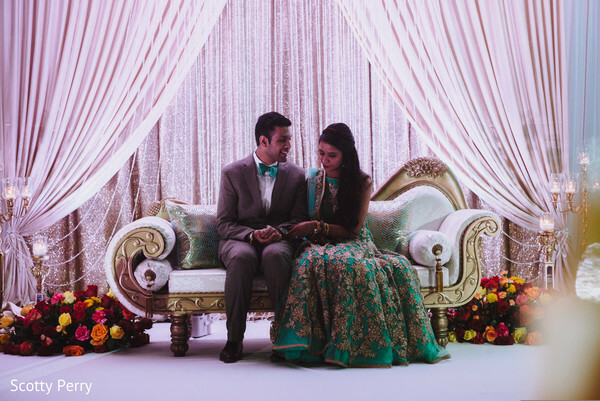 Red Umbrella has once again been instrumental in the wedding game and designed the perfect ending to a fab weekend! 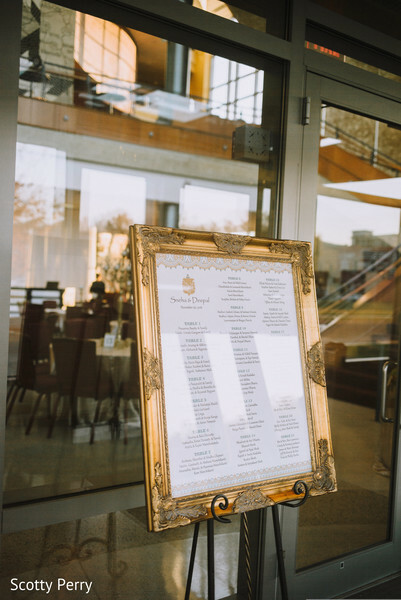 Head into the gallery where Scotty Perry Photography has designed a curated set of images for this wedding.